2300 Broadway offers breathtaking panoramic vistas. 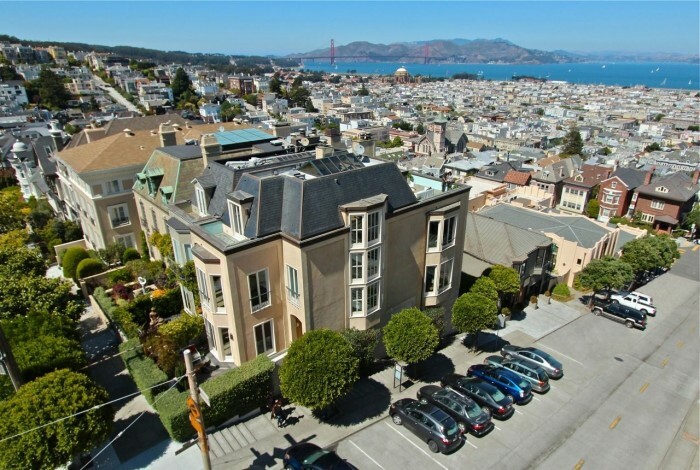 The five-story home at 2300 Broadway, at the northwest corner of Fillmore Street, presents Bay vistas of uncommon breadth. The fact that the home is also a contemporary gem, within easy walking distance of all the amenities of San Francisco‘s Pacific Heights neighborhood, only adds to its luster. San Francisco architect Sandy Walker designed the contemporary icon, offering a rare combination of form and function, with abundant natural light and dramatic features. The home has nine rooms, including three-plus bedrooms, three bathrooms, a dramatic, eat-in kitchen, and a wine cellar. There is a south-facing patio and north-facing deck. Offered at $5,600,000. Learn more about 2300 Broadway, San Francisco and also view an online brochure.